I think after viewing the art for the two different minis, I would catagorically put them in the Ravillan faction - because they *look* like they're s'posed to be the same monster. Pictured are two Crested Felldrakes, and a Guard Drake. Last edited by Icarus on Fri Sep 07, 2018 7:30 am, edited 3 times in total. Which ones are the 3e one and which are the 4e ones? And What book can I find them in? EDIT: I can find a Battle Sheet for the Horned Felldrake, but not one for the Guard Drake. What Chainmail source can I find that in? I've put my moderator hat on and made a new topic, so we can digress as much as we like. Do you think that some sort of Guard Drake breeding program would work for the Empire of Ravilla? I wonder if the different types of Felldrakes could be individual breeding programs in the same way that there are multiple duelling socieities. Last edited by Big Mac on Tue Nov 24, 2015 1:10 pm, edited 1 time in total. Big Mac wrote: ... Which ones are the 3e one and which are the 4e ones? And What book can I find them in? Well, they've been done and re-done, actually, some appeared in both 3rd and 4th Editions. Primarily, though, the Crested, Spitting, Spiked, and Horned Felldrakes were from 3rd Edition. The Crested Felldrake specifically first appeared in Dragon Magazine #285 "The Empire of Ravilla", I think. 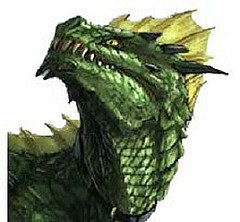 The fourth edition ones followed; Tri-horned, Hissing, leaping, and the Crested Felldrake, again. There were more "Drakes" than just felldrakes, and they actually became fairly common during 4th Edition. In a couple of volumes in the Monster Manual and Monster Vault series. I can find a Battle Sheet for the Horned Felldrake, but not one for the Guard Drake. What Chainmail source can I find that in? I didn't find the Guard Drake, or its connection to the Crested Felldrake, until I started going through the D&D Miniatures line in the previous thread. There are stats for the Guard Drake in the 4th Edition Monster Manual. I wonder if the different types of Felldrakes could be individual breeding programs in the same way that there are multiple dueling societies. Glad to have a fresh topic. I undoubtedly think that breeding programs exist in Ravilla for drakes. Dragon-related creatures are incredibly common in Ravilla. ... not so common that, like, half the population are half-dragons, or anything - but, they're there. I imagine drakes and related creatures to be as common in Ravilla as horses and dogs are in American and British society. And in just the same way, I imagine that they would be bred in a similar fashion (but probably in a more caring, considerate way). Drakes are used in every conceivable manner ... guards, hunting companions, military animals, mounts, messengers, and even beasts of burden. So, while I don't think that certain breeds of drakes (or felldrakes) would be exclusive to particular Dueling Societies, I could certainly see some of them sporting kennels and breeding for which they're known. For example, Dalmatians certainly can be found elsewhere than firehouses, but, they are definitely known for having been bred by and serving alongside firemen. Or German Shepherds serve with MP units, or the Mule served so much in olden days that they are now the mascot for the entire US Army. And obviously, as I said above, there'd be some drakes that would undoubtedly be simple companion animals, as there are some breeds no bigger than a dog, and some (like Felldrakes) that wouldn't really be found in civilian sectors much, being bred primarily for war. Last edited by Icarus on Fri Jul 28, 2017 8:22 pm, edited 1 time in total. Hmm. I can't recall whether it was you who mentioned it to me, or someone else, but, I was pleasantly surprised to remember these little guys. While I don't think that "most" Felldrakes are ridden, there's some drakes that could be, no doubt. I'll have to look into them some more. There's bound to be some good stats for them. I've not got the 4th Edition Monster Manual. (I decided to get off of the "Edition Treadmill" when the 3.5 Era came to an end.) But I have bought some 4e books, strictly on the basis of how much stuff I can raid for a 3e game. 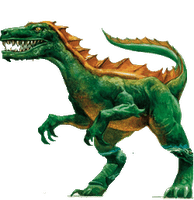 I might start a topic in the 4e forum to ask how much new stuff is in there and how easily it might be to retro-convert monsters (including the Guard Drake) to 3e rules. I need to find the time to go through all of those Dragon Magazine articles and learn some of this stuff off by heart. It might be worth making my own Chainmail Campaign Setting book, that collates all the rules into a form I can find. But anything like that would be something I could not circulate. And if I can't circulate things, it doesn't help build up the community. Perhaps some sort of "Chainmail RPG Rules Index" that has book and page listings for everything in all the products would be something that could be done on a "share with the community" basis. Big Mac wrote: I've put my moderator hat on and made a new topic, so we can digress as much as we like. That is amazing. I never noticed that about Ravilla before. It's a real "unique selling point" to the culture. Icarus wrote: So, while I don't think that certain breeds of drakes (or felldrakes) would be exclusive to particular Dueling Societies, I could certainly see some of them sporting kennels and breeding for which they're known. For example, Dalmatians certainly can be found outside firehouses, but, they are definitely known for having been bred by and serving alongside firemen. Or German Shepherds serve with MP units, or the Mule served so much in olden days that they are now the mascot for the entire US Army. Sorry. I explained that badly. In my mind, I'm having the view that particular Dueling Societies would be founded in a specific city, with an arena or other combat area...and that people wanting to learn that style would go to live or study in that specific city. They might migrate away later, and might even take on pupils later, but I'm thinking of the societies working a bit like a university of combat. I wasn't thinking of the Dueling Societies doing the same thing for dinosaurs. But I thought that there might be breeders that are localised to specific areas. Perhaps the dinosaurs would be raised in open areas, outside cities. Perhaps there might be a number of ranches where dinosaurs are bred, broken in and taught tricks by people with animal skills. If there are specific breeds (like a Guard Drake) I can imagine that being a bit like a dog breed. I suppose there could be kennels and stuff like that, but that doesn't feel to elven to me. Put this stuff together and run with it and you get the possibility of "Jurassic Park" areas of land, where there are dinosaur monsters roaming free that might eat any PCs or NPCs who try to cut through that land. Icarus wrote: And obviously, as I said above, there'd be some drakes that would undoubtedly be simple companion animals, as there are some breeds no bigger than a dog, and some (like Felldrakes) that wouldn't really be found in civilian sectors much, being bred primarily for war. It sounds like we would need to look for some sort of "Dinosaurise This" Template that can be used to convert ordinary mammals to dino-replacement critters. Unless there is an existing D&D product (or d20 System product) that has a ton-o-dinosaurs in it. Going back over this thread … I don't know how I managed to let this thread go. It's one of my favorite topics. I think that the Drakes are integral to Ravilla. But, especially in that last post or two, it seems we somehow migrated from Drakes to Dinosaurs. In my head, I just kind of replaced "Dino-" with "Drake". While I don't want to accidentally divert the thread - artistically, I really like the depictions of a similar culture in the "Dinotopia" novel series. I really think that if one replaced the dinosaurs with drakes and dragonkin in those illustrations, and humans for grey elves, for example, one would get a very good idea of how I imagine the inclusion of Drakes in Ravilla to look. I like the inclusion of felldrakes and the like, because it really makes a clear distinction in the Ravillan culture. These aren't your typical elves, not even typical grey elves. I say dragonkin, though, not because I think there's half-dragons all that commonly, or whataever … but, more because I imagine if dragons are so strongly a part of the Dragon Empire/Ravilla, I think that there'd be mounts and flyers that aren't necessarily Felldrakes. Maybe there'd even be other species of things like wyverns that look a little different than the one single species of wyvern in the Monster Manual.